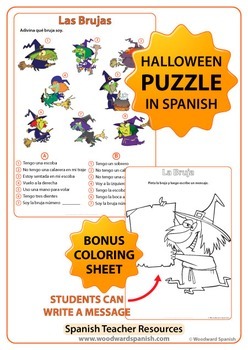 These worksheets and activities are completely in Spanish without any English on them. They all include answer sheets so students can check their own work. These activities are ideal as fillers before the bell or for substitute teachers. For more information about each individual resource, click on its name. 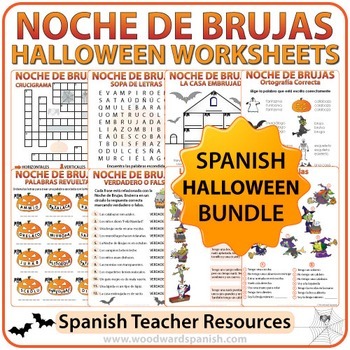 Each resource can be purchased separately though it works out more convenient purchasing this complete bundle of activities. 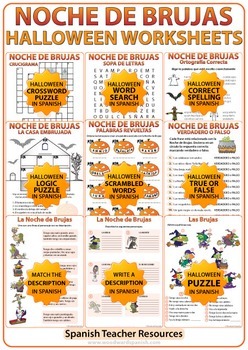 You may also be interested in our Halloween - Spanish Reading Passages and Worksheets at a Spanish 2 level. 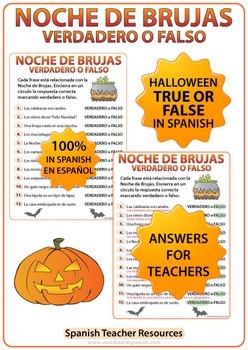 We also have a Spanish 1 Reading Passages about Halloween (Short texts in simple present tense).